Toro zero-turn radius mowers can cut mowing time because they are easy to maneuver around obstacles. Toro sells two lines, the TimeCutter Z and the Titan. TimeCutter Z mowers are available in 42- to 50-inch deck options, and the Titan-series mowers are available in 48- to 60-inch deck models. Problems with both of the mower models can include an overheating engine, the starter not turning, the blades not rotating and uneven cutting height. Reduce the ground speed if the engine overheats. Take a look at the cooling fins and air passages under the engine blower housing for grass plugs. 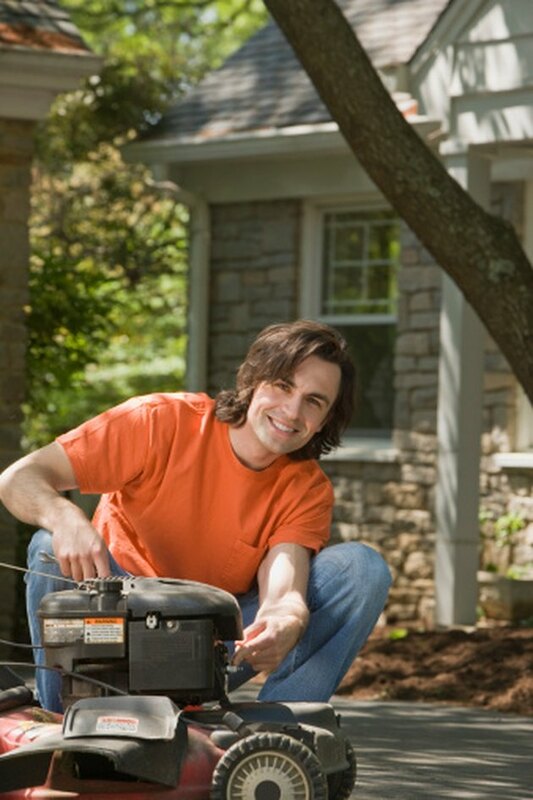 Turn the mower off, and then remove any clumps of grass. Sit on the seat if the engine won't turn over. The Toro zero-turn radius mowers have a safety feature that prevents the mowers from being started unless there's an operator on board. Clean the Toro zero-turn mower deck if the cutting is uneven. Then, tighten the blade mounting bolt with the wrench, and inspect the blade spring disc washers for damage. Take a look for a bent blade spindle, too. Be sure to turn the mower off first though. Check the belts if the blades don't rotate. The drive belt could be worn, loose, broken or off-pulley. Install a new belt if necessary. Disengage the blade control switch, and move the motion control levers outwards to the neutral position. Then, set the parking brake, turn the engine off, and remove the key. Set the cut height to 1 ½ inches. Remove the belt covers over the outside spindles, pull the idler pulley, and roll the belt off the pulleys. Route a new belt around the engine pulleys and the mower pulleys. Pull on the idler, and route the belt onto the idler pulley. Then, re-install the belt covers.